I think of Mermaid's Cardigan as a Springtime project: worsted-weight yarn (it's not warm yet), but with a little ventilation in those lacy sleeves and a little waist-shaping to show off your curves. You don't feel like you have a waist after this Winter's hibernation? Don't worry - the princess seams that create this cardigan's waist shaping give you the illusion of a waist. Seriously! I am a short-waisted, apple-shaped lady. Those princess-seam lines lure the eye upward, and the fabric curves along your body, enhancing whatever shapeliness you DO have. The lace sleeves begin with a bit of i-cord for a blouson effect, which means no increasing in the lace (I love lace, but sometimes I want it to be not hard, you know?). And the i-cord edging ties in to the i-cord cuffs, creates the buttonholes, and keeps the stockinette edges from rolling. All that from something called "idiot cord" - maybe we should start calling it "smart cord"! So, need a flattering cardigan for Spring? 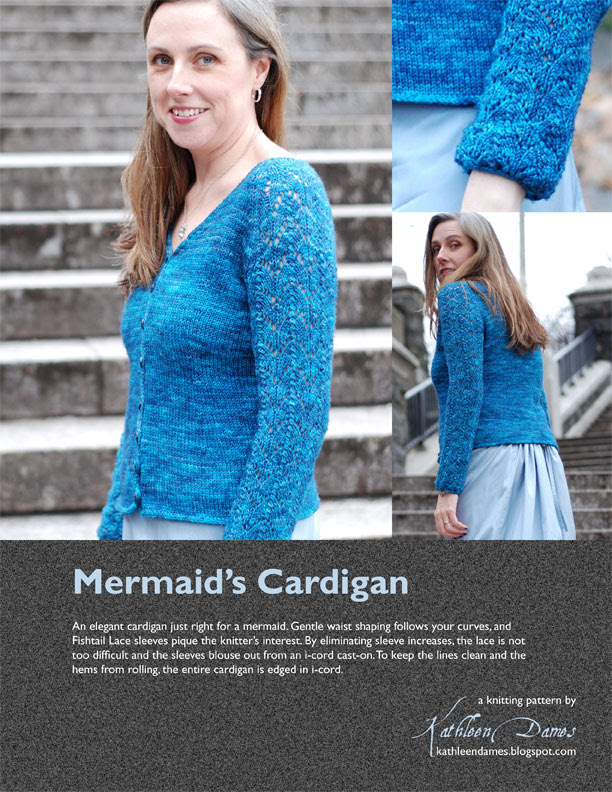 Try a Mermaid's Cardigan. P.S. Want a little lace but no time for a garment? 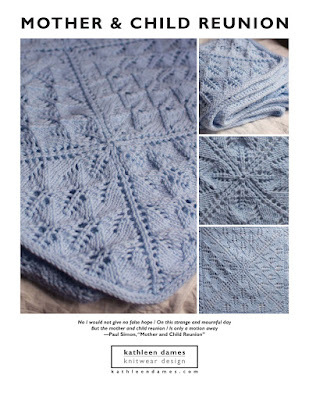 Try Mermaid's Mitts!